Whether you already have a substantial following or are just starting out in the world of online business, these 6 types of challenges can help you attract qualified prospects, earn their trust, and turn them into paying clients… In just 5 short days! 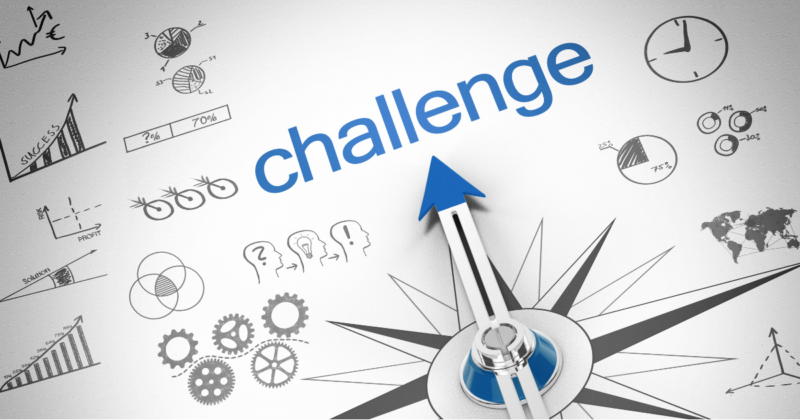 What Makes a Facebook Challenge Fail? If you do Facebook challenges well, you will never have to worry about where your next client is coming from. However, before we jump into the types of challenges you can do to attract new clients to your business, let’s talk about what makes Facebook challenges fail – and how you can avoid these issues to make yours a huge success. The number one rule of Facebook challenges is to give your audience a tangible outcome or noticeable shift in mindset. Whether it’s a brand new online dating profile or reconnecting with their passion, you want them to walk away with something of value. If they know your approach delivers real transformation, they will be that much more likely to trust you with their hard-earned money after the challenge is over. If you want your challenge to be profitable and help you grow your business, don’t make them long. I recommend doing 5-day Facebook challenges. Five days is long enough for your potential customers to develop a connection with you, and short enough for them to stay engaged and focused on your message. One of the greatest advantages of this type of marketing is how simple it can be. After all, challenges should be fun – for you and for your audience. If they are not, simplify! Your audience (and your future cash flow) will thank you. If you want my proven step by step guide on how to run a successful Facebook challenge and are ready to get started, check out my time tested Fast, Easy, and Profitable Online Challenges course. 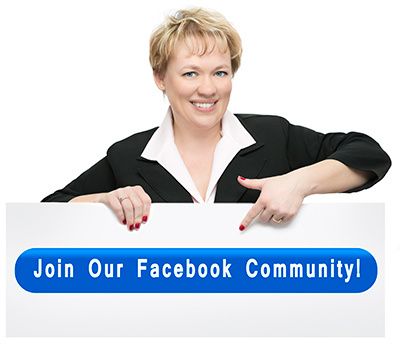 Now, let’s jump right into 6 easy Facebook challenges you can do to get new clients fast! A simple challenge of tracking a new habit for 5 days could make a world of difference in your participants’ life – and in your business. For example, you could do a 5-day No Sugar challenge, or a 5-Day Meditation Challenge, or even a 5-Day Exercise Challenge. Once the audience sees the positive impact the habit is having on their lives and how easy it was with your help, they will be more likely to trust you when you invite them to your paid programs and services. Plus, as the challenge participants work together and encourage each other. You will build a community of loyal supporters and raving fans. Have you ever gotten frustrated when trying to do something that appears to be easy for everyone else? Your audience probably has too. You can create a simple challenge that walks them through doing something useful, like setting up a great blog. Seeing you handle their problems in this step-by-step manner will help your participants see you as someone they can trust – which will come in handy when you make your offer after the challenge ends! Remember the tangible results we talked about earlier? Teaching your audience a new skill, such as video-editing, is one of the best ways to do that. Your audience will walk away with more confidence in their own abilities – and in you as their trusted advisor. If your area of expertise is a little more creative, you could challenge your audience to unleash their inner artist and make something that is uniquely their own. A recipe, a dance, an art piece … Whatever the final creation is, the point is for your audience to have fun and express something they would not have if not for your challenge. With this type of challenge, you get to create change in someone’s life, which is fantastic if you are trying to sell coaching or consulting services. For example, you could challenge your audience to raise their rates by $X amount. Or, if you are a fitness coach, you could get them to try a new workout in the gym (and post a sweaty selfie to the challenge group afterward). Everything your participants have ever wanted lives on the other side of their fears. This type of Facebook challenge can work great for entrepreneurs who are working in more spiritual niches, such as mindfulness coaching. Challenge your audience to reflect on a time they failed, or inspire them to write a little description of their greatest success. These types of challenges will make your audience feel like they are truly connected to you. That connection will make them much more likely to invest their time and money into your paid offerings. A great Facebook challenge can help you attract qualified prospects that actually WANT to buy from you. Want to Learn Exactly What Makes A Winning Challenge? Grab Your FREE Challenge Checklist Now! 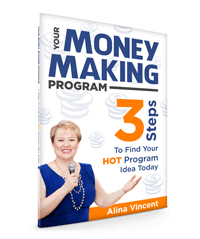 Alina, I’ve seen the fabulous Facebook challenges you host within your Facebook group and the great engagement you generate! Off course at the end of the day, you provide great value too. I also love your strategy of readjusting the group name to match the challenge. Alina is the expert on Facebook challenges. I did my first challenge last year using her formula and my people loved it. I’m doing it again soon and I can’t wait! I love learning from Alina!!! This is such great information. I will come in handy when I do my challenge in April!!! Thank you! Covering too much is a big but easy to make mistake! The desire to give a lot of value is big but it’s easy to overwhelm people. Alina, you have mastered the fine art of delivering challenges!